DR RICHARD VAREY takes a deep, quizzical look at the supposed vinyl revival, retro-mania and the new glut of merchandising around Record Store Day. It’s a retro vinyl record revival groove thang. Or is it? Maybe there’s quite a bit more of a story to be told about those blended polyvinyl chloride/polyvinyl acetate recorded music carriers we call ‘records’. It’s a tale of retro, and mostly vintage sensibilities. With Record Store Day getting so much attention in the media, I wondered what it’s all about. Is it for label promotion, or for music fans and/or record collectors? Perhaps we could have a Music Fan Day. With some people thinking of the RSD as ‘vinyl day’, I investigated further the evident appeal of records among some music fans. 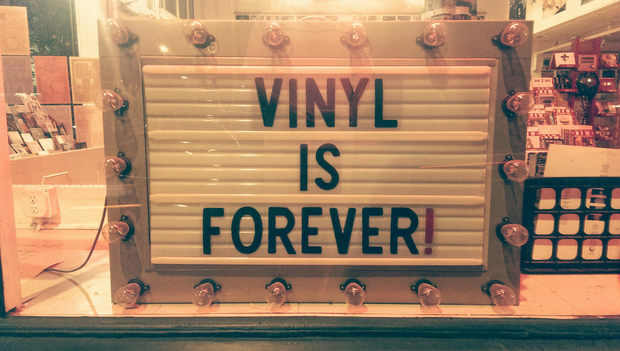 Should it be Vinyl Record Day, or is it no more than a retro fashion fad or vintage craze? I also wonder how much RSD impacts on sellers of old and used records, which far outnumber new releases. As the dust settles on the 10th annual event day, which went largely unnoticed by most people, and as NZ Music Month begins, I ponder what and who the RSD is for. With reports of sole trader retailers being swamped by 150 queuing customers eager to get their hands on what look like, at least to me, fake collectibles, is this real evidence of the supposed ‘vinyl revival’, or are corporate marketers foisting 500 novelty products – much of which are both obscure and irrelevant to the music culture – on unwitting buyers? Music writer Grant Smithies described independent record stores as ‘beacons of alternative culture’. When I think of a record store, I picture racks of mostly used albums, and some reissues and a few new recordings. They are a meeting place of minds, music, and recorded music media. Then once a year something happens and a batch of curiosities appear and some stores temporarily become live venues. And there’s a whole lot of advertising and media hype. 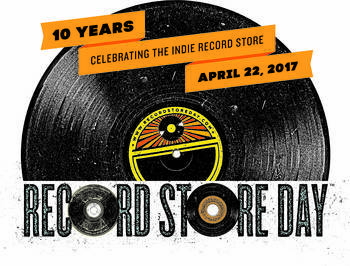 Record Store Day was started as the annual international celebration of independent record retailers. I’ve heard from some record stores that they don’t bother with the event as they’ve not had much interest from customers, only from label sales reps who want their product in store. Auckland’s Real Groovy are critical of the over-commercialisation of RSD and chose to do other things instead, while the UK’s Vinyl Factory selected only 30 worthwhile products from what they called the ‘river of effluent’. So it looks like a marketing ploy of manufactured scarcity-driven consumer frenzy, and doesn’t seem to be much about independent record makers either. It has become overly corporate as the major labels clog the pressing plants, flooding the stores with questionable baubles and imposing one-sided terms on retailers, including pay upfront and no sale-or-return, as well as crazily hiked prices. The actual effect is counterproductive for retailers, causing sales to stall in the days before the event, so there’s a growing backlash and disengagement. What was on offer this year was an odd mix of retro reissues and ‘collector’ curios. None of my record collecting friends thought it relevant, and I didn’t participate, although the live music events had some appeal. This false rarity mania is what ensures that this is the one day I won’t visit a record shop. My concern is that the big labels muscle in at the expense of the independents. What is the appeal of Record Store Day? The original idea – to support independent record stores – I like, but I’ve never been drawn to the expensive trinkets that appear for this event. Is it about music? I’m not so sure. RSD seems retro in spirit, but not so much about the music, more a spectacle to sell licensed merchandise as collectable trophies. Does the RSD hype attract those who are not already record aficionados? Does all of this revitalise the music? 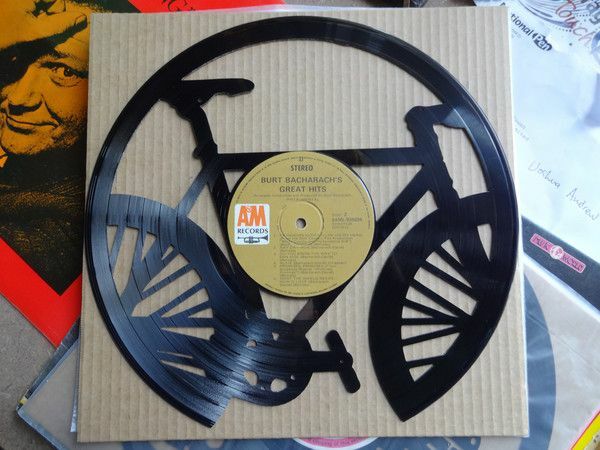 Or is RSD just a spectacle of fad marketing and not really part of any resurgence in record appeal? We’ve been repeatedly told by the press that there’s a revival in retail vinyl buying, but I wonder if this is just marketing hype. I’ve read several reports that show that less than three percent of current sales in a still shrinking industry are for new vinyl, which hardly sets the business on fire. The store stock I’ve seen is generally over-priced and a quite peculiar assortment. Just where is the demand for obscure 1960s recordings, anyway? Who is driving the supposed revival, and is it only a retro thing? I see the new/old distinction (recordings and releases/pressings) that’s necessary to understanding the big picture, because the vintage appeal is a whole different thing. As well as new records, there are many original recordings that are residual from the previous pre-digital era when the primary technology was physical discs. Now new and old coexist. There’s a lot of repackaging of old recordings as if new, and this may be driving some re-acquaintance with old music as fans repurchase and reappraise. There’s also a lot of styling of new recordings as if old. I think that the increase in sales of new records is driven by retro sensibility, whereas crate diggers who search for old and used records are uncovering, rediscovering, and recycling. Where can vinyl cravers find records to buy? The supply of records for sale is certainly diverse nowadays, comprising mostly old and some new. 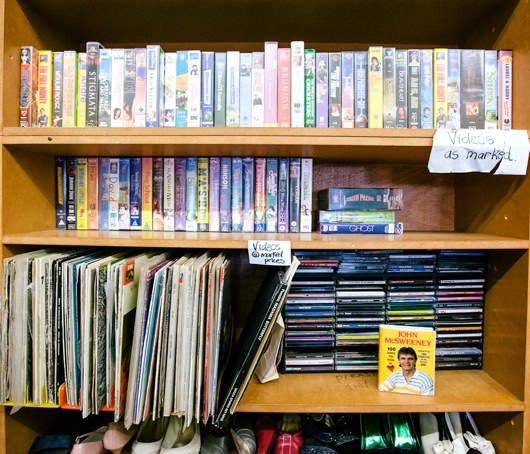 New recordings and reissues sell through music retailers, especially chains (and just a commodity at The Warehouse), whereas used records are resold by dealers and in private transactions, and at a lower level many are recycled through secondhand and op shops. Recordings from many decades can be found by diligent crate diggers, and the many albums that are (sadly) in worn or damaged condition (sleeves or disc) put off the casual buyer, although I find plenty of old records that are in near new condition (and some new old stock). It’s a confused marketplace. New albums are generally over-priced, while many used LPs are offered at prices similar to new issues, and at the same time the op shops typically price at $1 each. I know one store (and it’s associated closely with a hi-fi dealer!) in which the stock I examined was in very poor condition and being offered at antique dealer prices, but really should be in a junk shop. Does supply match the demand? Is there a different ‘retro demand’? Much of what’s on offer as new product is of questionable quality, with widespread faulty pressings, and music copied from CDs and other records. How much of this supply, and how much of the demand, is for retro? 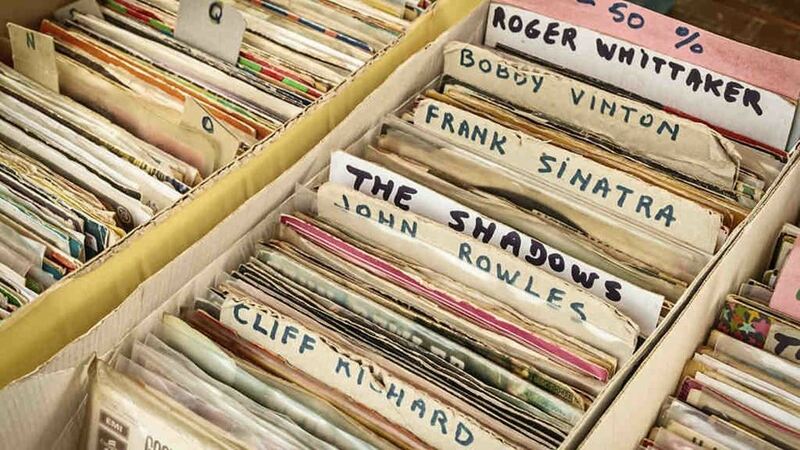 The secondary effect of putting new records back into stores and online catalogues is to remind music fans that there’s lots of languishing authentic old vinyl records to be found and reloved. If some say there’s a revival then otherwise abandoned records get taken out of storage and put on view in the hope of selling, so they are more evident and it looks like there’s a revival in interest – there’s more movement and this catches attention. Meanwhile, records are still being dumped or turned into ‘art’ (cheesy clocks, ashtrays, and cake stands! ), while others gather dust and mildew and warps in lofts, garages, sheds, and op shops. Right now there are 37,000 listings of vinyl records on Trade Me (and 47,000 CDs listed too, as disc media is abandoned for streaming). But also I hear many expressions of regret at disposing of collections 20 years ago, and I know of several collections being recovered from storage only to be faced with the issue of finding a suitable record player. I can see a minor resurgence in interest in records, largely driven by producers and sellers offering reissues of old recordings, and there is evidently some format reactivation, with a few issues of new recordings, and the residual interest among music fans and record collectors in finding used records. But how much of this is a retro thing and what else is it? Might it really be a matter of supply? There are vast quantities of records in disuse, awaiting rediscovery. This is recorded music not otherwise available or that is simply cheaper than CDs and downloads. And some of us prefer the tangible tactile experience and see vinyl records as a desirable extension to their listening experience, even if becoming devoted to digital access. The new records I’ve bought in recent years, both new recordings and reissues, have superior sound quality, additional music, and high quality packaging and artwork, although frustratingly sometimes the pressing quality of the disc is unsatisfactory. After 50 years since the advent of the vinyl LP, sales of new discs fell to almost nothing by the turn of the century, so most records owned or acquired now are vintage (at least 20 years since new release). But what makes a record retro? For commercial sellers, revival is referring to new product – it’s a retro phenomeonon. 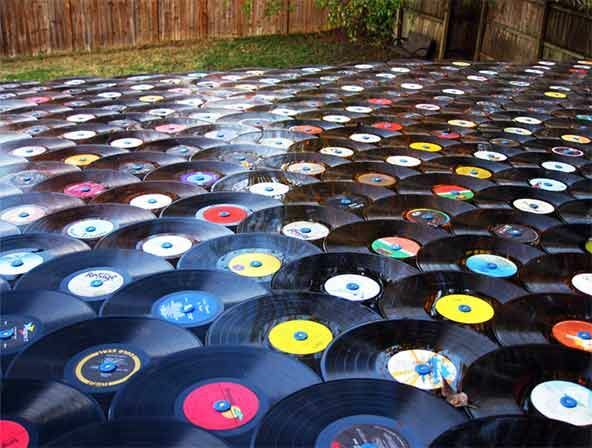 Music fans mean getting their records out of the shed. Most record sales are now in the resale markets, so it’s a vintage thing. So, records have a second life and are not yet fully obsolete, but the emphasis has shifted to intangible use instead of ownership – thus music access is becoming largely a service to be hired instead of a product to be acquired. The residual desire for tangible and tactile things, however, also extends to a resurgence in print-on-paper books, despite predictions of the death of books and bookshops. Users have found e-readers clunky. We can acquire digital music and text, much of it free through sharing and downloading, yet tangible artefacts are preferred by many. I’ve been told that an interest in records is a retro thing, and I wondered if that’s the whole story. Retro commonly refers to collectibles, nostalgia and memories and associations of the past, history and heritage, collecting, and re-use of old technology. What is the retro movement about? Is this the source of record revaluation? Since mid 20th Century, new artefacts – in the form of products, fashions and artistic styles – with characteristics of the past that refer to particular aspects of the past – have been considered retro. In its common use, retro describes objects and attitudes from the recent past that no longer seem modern. There is some cynicism and detachment in the desire to capture something from the past and evoke nostalgia because of some dissatisfaction with the present. Reprise: is vinyl listening a better experience than digital listening? Two aspects of culture are in play here. For the technophile it’s about the technology – the engineering of the disc and the player. For others, it’s about art, style, the listening experience, and the music. Retro is also applied to forms of technological obsolescence. Retro is not about styles created in the past – so can the vinyl records produced today or the old ones revived and recycled be considered retro? It seems to me that retro chic is being manufactured. Recently, I’ve heard someone say ‘retro is the way forward’ and someone else say ‘retro is coming back’. In different ways they are both right. While the equipment has largely disappeared from daily experience, mostly the media was put into limbo, making a ‘revival’ simply a matter of shifting attention to what is now vintage. The appeal of cultural artefacts and the values on which they are personally appreciated shifts in waves and cycles, and differs among collector, music fan, hi-fi enthusiast, and vintage and retro style/fashion follower interests. 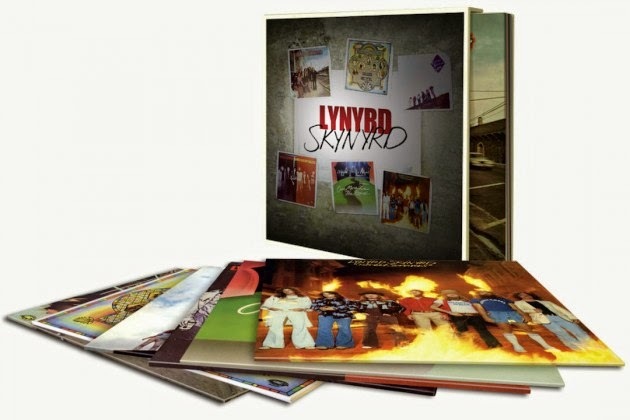 The continuing appeal of records, vintage and retro, seems to be about the cost and convenience of the LP vinyl format, as well as a different sound quality compared with other media options. Also the range of recordings and local supply outlets available, some of which are designed as ‘destination’ attractions. Vinyl records, whether old or new, are ‘old tech’ – both semi-obsolete and chic. Innovators and early adopters have now moved on from the CDs which substituted for vinyl discs to streaming. Any continuing and renewed supply is a reprieve for the source laggards, some thinking the sound is preferable. Indeed, some argue that vinyl delivers an inherently more enjoyable sound quality, while rational engineers show why it isn’t technically superior as a sound signal carrier, and it wears with use and is prone to easy damage. Others are streaming, then buying the vinyl version, half of whom will not play it. 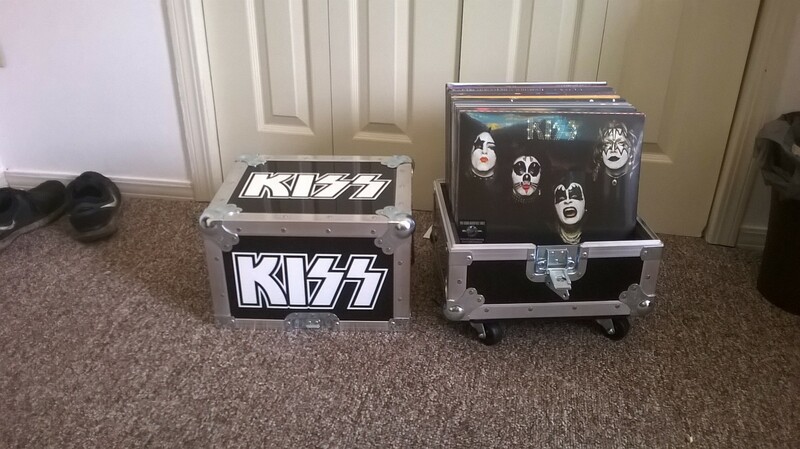 Apparently, it’s more of a shelf display of taste and personality in a ‘know me by my record collection’ kind of way! Retro is profitable, so it’ll cost ya! A person’s music collection is one of the best representations of who they are, reflecting different aspects of personality and life experiences. It’s a collection of memories. How do you present that in the digital domain? With playlists, I suppose. Most listeners are likely comparing sound quality and enjoyment of the experience with compressed MP3 file reproduction anyway. A ‘record’ (why is this the proper name for a copy of a recording pressed in a vinyl disc?) is a very tangible tactile art form artefact of lifestyle. ‘Product’ searched and selected from an online catalogue is somehow devoid of the special sense of music discovery felt as records are diligently dug from crates and racks in a cultural treasure hunt, rescuing and revaluing abandoned albums. Finding and playing recordings is a social experience that cannot be found in instant remote-controlled streaming. This is mostly how I’m continuing to expand and deepen my music library. As a quick aside, and in answer to my query, the phonograph was originally conceived as a home sound recording apparatus for capturing and preserving people’s own recitals. The record was the sound trace cut into a wax cylinder by the recording function of the phonograph. The mass production of copies of a master recording, what we now call records, and the phonogram to play them, came somewhat later. I found this out when I visited the first recording studio, now preserved as part of a museum at Thomas Edison’s invention factory in West Orange, New Jersey. Listening to recorded music on vinyl discs is for life, not just on Record Store Day, and some stores have stayed with the format. They never gave up on vinyl records. While we are talking independent record stores, I’ve recently discovered a great vinyl-only record shop – not too big, not too small – with lots of records old and new, and with nice coffee, a gorgeous cat, and very friendly people. My interest has been piqued by a couple of recent visits to Vinyl Destination at 52 Devonport Street, Tauranga. Originally located on the North Shore, they are, at the time of writing, celebrating their second anniversary in Tauranga. To me, this independent personal business illustrates that while there may be a quite small retro revival, the vintage demand has continued maturing. Think how many LPs rest unloved in secondhand outlets of various kinds. This ‘archive’ of potential inspiration and pleasure is of much greater music culture history significance than any annual marketing spectacle peddling over-expensive gaudy picture discs in peculiar shapes and plastic sleeves, and with dubious sound quality and collectibility value.